"The sun didn't come out even once for the entire month," said the weather website Meteonovosti. According to Russia's main weather centre, the sun did shine for six minutes. But normally Muscovites get dozens of hours of December sunshine. 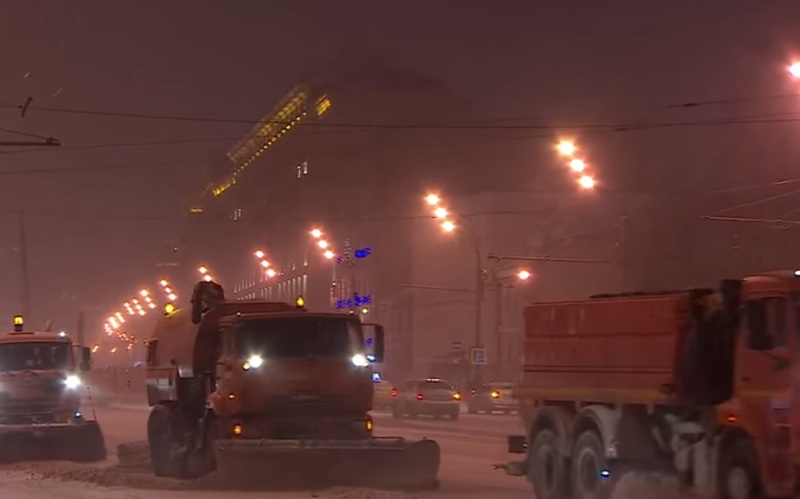 Insane temperatures were recorded in Russia in January when in Russia's Yakutia region, temperatures dropped to an unbelievable -84F ( -64.4°C). Temperatures were so low that thermometers froze and burst. It doesn't say how much snow. in sault saint marie ontario we get that no problem because we are right by two large lakes, superior and michigan not uncommon to get 15c to 20 inches of snow, hey its winter the snowe season we expect it. Gov. patents....please fully investigate, we are headed for total disaster if not exposed and halted! Agree. Geo-engineering is a reality that first succeeds by convincing the public (us) that it does not exist.